We’re about halfway through our 28 day challenge to help educators gain momentum with blogging in 2019! 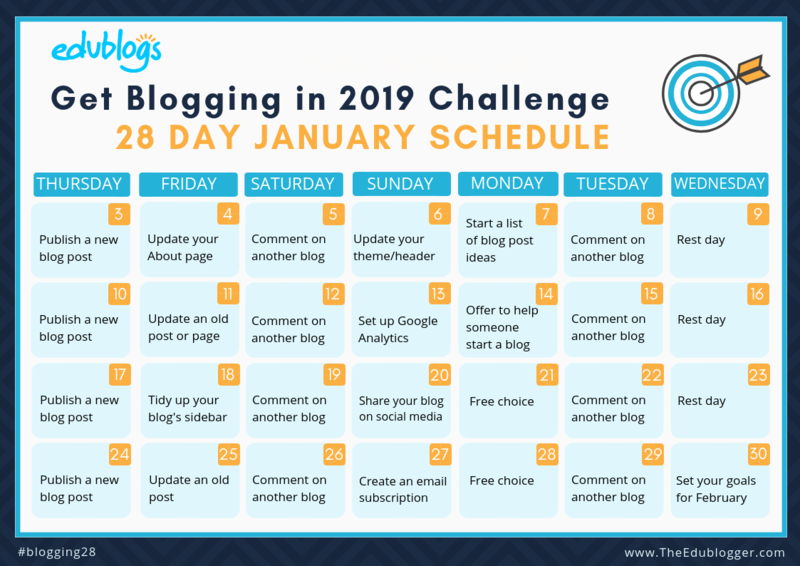 Read all about the Get Blogging in 2019 Challenge here. It’s not too late to start. You can join in at any time. Our January calendar shares bite-sized steps you can take to build momentum and put positive habits in place that you can continue throughout 2019. You can also join in the conversation on Twitter with the hashtag #blogging28 and subscribe to our Twitter list of participants. Need ideas for blog posts? 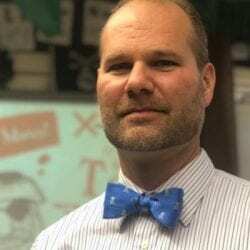 This list of 50 topics for educators should help. There’s a useful post on the Problogger website that might give you some insights into how to republish old blog posts. If you haven’t been blogging long enough to update an old post or page, you might just want to work on a new post or page. 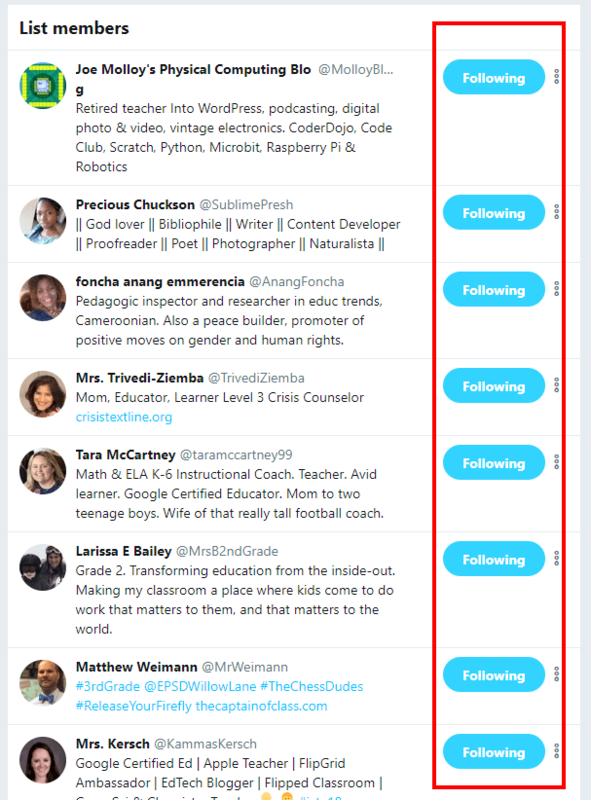 You’ll get more out of blogging if you connect with other educators along the way. Exploring the give and take nature of blogging can lead to both personal and professional growth. Check out our list of participants who are taking part in the challenge to find blogs you can visit. Google Analytics is used to provide detailed statistics such as who’s coming to your blog, how they’re getting there, and how they’re interacting with your site. If you’re using Edublogs Pro or CampusPress, these instructions will help get you set up. Now you’re starting to gain some momentum with your blog, why not bring a colleague or member of your PLN along for the ride? Even if you’re new to blogging yourself, you probably have skills and insights that you can offer others so they too can reap the rewards of blogging! This week we saw some new participants join us. Some are experienced bloggers who want to get into more of a routine in 2019. Others are new to blogging and are using the challenge to kickstart their learning. Here are just a few of the great post published in the last week. 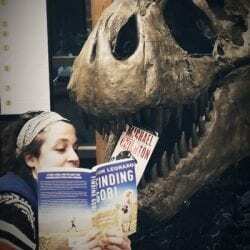 Do you share or spend more time reading? If you are a teacher, what do you choose to share? Any advice is welcome! I’m renewing with old friends and finding new ones. I love that blogging allows us to learn together — a reciprocal relationship as we each share what we know and how we adapt what we learn from others. Sometimes the learning is incidental to the actual point of a post, because that is how learning works. 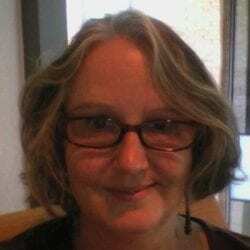 Check out Sheri’s fabulous post about the struggle to learn here. Hobbies like mine can spark that “lifelong learning” we talk about as educators. And, I know the school day is packed with stuff, but I think it is important to find time for these kinds of activities within the hours of school rather than as after school programs so we can reach as many kids as possible. I love writing and from time to time I love reflecting on what is happening around me or what I have learnt. 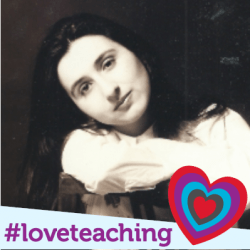 An event, a book or also writing about my teaching experience are the main topics of my posts. Sometimes I read about events online and then I create some materials for my students. Japanese decluttering ‘expert’ Marie Kondo has sparked inspiration for posts from both Matthew Wieman and Sia Paganis. I didn’t like the tweet. But, in the end, it was one of the most powerful, because it caused me to think the deepest. And, finally, I find myself doing the only metacognitive act higher and classier than evaluation: creation. My assistants in the library are actually my secret life-changing magic. They maintain order, bring stability and can always spot where I left my coffee cup. Without them, lots of tidying up in the library would not happen. Have you added your details to our list of challenge participants? We encourage you to visit some of the blogs and leave a comment. You could make some new connections that provide you with inspiration and support during 2019! We’ve added the participants from our spreadsheet to a Twitter list. Lists are a great way to keep track of groups of people on Twitter. 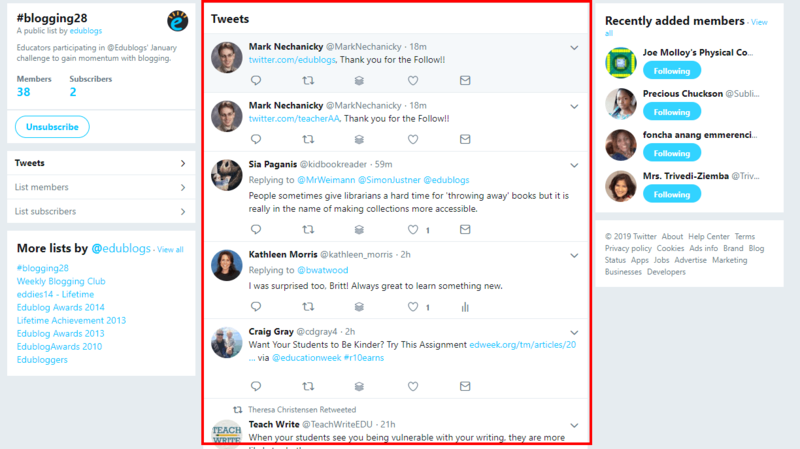 Here’s how to use the Twitter list using the web version of Twitter. 3) Click on the word ‘members‘ above the subscribe button. Here you can make sure you’re following all the participants. 4) To check out the list at any time, click on ‘lists‘ on your profile page. 5) Find the #blogging28 list amongst your other lists (if you have others). 6) You’ll then see the feed from all members of the list so you can interact with their tweets. We’ll highlight more work from challenge participants on The Edublogger next week. We’d love you to leave the URL of one of your most recent posts in a comment below so we can all take a look. Also, remember to join in the conversation on Twitter. 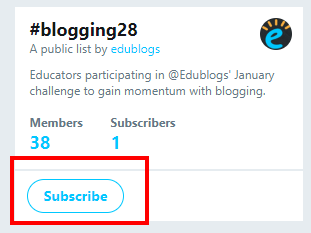 You can use the hashtag #blogging28 and tag @edublogs so we can read your work and share it with others! 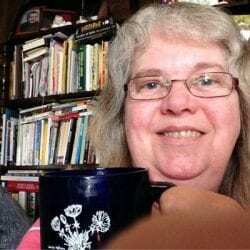 I am adding new posts and working online. There are so many interesting things I am doing and reflecting online and blogs created by educators are challenging. That’s some really helpful advice about Safer Internet Day and online safety. I’ll be sure to share it on Twitter! Hello, I’m having fun with this bite-sized, doable challenge. 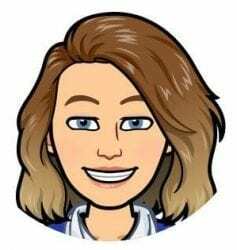 It really is kickstarting my blogging, as well as helping me to connect with new friends and reconnect with longtime friends and fellow bloggers. Thanks for starting off the year as such a role model in the blogging community! Your post about discussing blogging with a friend was terrific. I’ll include it in next week’s round up post! I am working online and I have seen so many interesting blogs. It is only a pity that I need to work at school as I would spend hours on the blogs. Here is a post about a video which I saw yesterday: it provides interesting ideas for discussing education…………..here in the most developed countries . Sometimes teachers are heroes …..
Haha, it is a shame you have to get back to your school work, Tiziana! Thanks for sharing that great video. It’s probably a good reminder for all teachers that there are always worse circumstances than our own.